Rep. Michael McCaul (R-Texas) said on Sunday that the Islamic State in Iraq and Syria (ISIS) has greater influence worldwide than President Obama realizes. McCaul’s remarks follow a trio of terrorist attacks worldwide on Friday. ISIS is claiming responsibility for a beheading in France, a mosque bombing in Kuwait and a mass shooting in Tunisia. McCaul additionally asked Americans to practice caution at home in the wake of the attacks. He cited the Islamic holiday of Ramadan, ISIS’s one-year anniversary and the upcoming July Fourth weekend as a rare mix of inspirations for the terrorist group. 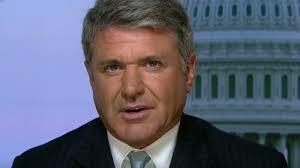 “I think the concern is the confluence of all these events,” McCaul said. “We urge people to be vigilant as they celebrate this holiday next weekend,” McCaul added.